This according to a study conducted by the Digital Innovation Observatory for Tourism at the Politecnico di Milano. The data confirm that Italian tourists are using online digital tools to search, plan and above all book their trips. Tourism and the Internet, a combination whose bond is expected to become ever stronger. 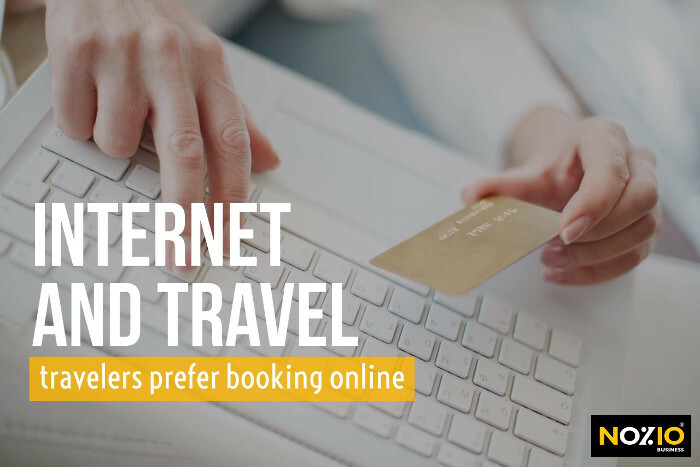 The study shows that the Internet today has reached a highly widespread level among Italian travelers: 84% book online, with Internet searches carried out by 83% of respondents, and 67% seeking ideas and inspiration on the Internet. The data show that the influence of online digital channels plays an increasingly significant role in the inspiration phase of travel plans: 48% of respondents read reviews and comments on the Internet, compared to 40% of those who rely on personal advice received from friends and relatives. The weight of personal interactions – the old ‘word of mouth’ – is still relevant, although the sharing economy and new technologies are contributing to changes in consumer behavior to the benefit of online channels. Consumers search for specific information, and they are most likely already considering alternatives for their trip. The active presence on search engines of Google AdWords, the effect of metasearch engines with visibility campaigns on prices, the hotel’s Official Site, a system for managing digital reputation are the activities and tools you need to adopt to in order to be found by travelers seeking an experience in your destination and information on your hotel. In this phase, the Internet is by far the preferred choice of travelers. Whereas 92% of tourists book accommodations or their means of transport before leaving, fully 81% book online! The booking engine is the tool that allows travelers to book your hotel. It isn’t sufficient to simply have a booking system on your website to ensure bookings; it’s essential that it display certain characteristics and functions, such as, for instance, the NOZIO V2R booking engine: a system that is simple, intuitive, fully responsive and flexible. In light of these data, it’s easy to imagine the digital traveler … there she is on the train consulting a Smartphone, searching for inspiration on Instagram, or browsing a post on Facebook by a preferred travel blogger, searching for information on a destination on a travel site, creating a WhatsApp group to share information with friends and family, conveniently booking online from the comfort of home on a desktop device. The Internet is a great opportunity for the success of your business, provided you have a Digital Marketing Strategy that is long-term, clear and functional to your needs. A Hotel Marketing Strategy capable of generating surprising results – ATTRACT» CONVERT» SHARE – helps direct visits interested in your hotel establishment, converting visitors into direct bookings, and turning customers into loyal supporters of your brand! Travel and Hotel reservations by mobile: the Millennials are ready!